Angry Birds Go! races into the Windows Phone store e and is now available to download for free! 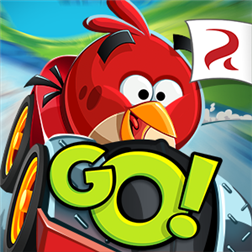 This fun racer featuring your all time favorite birdies will have you playing hours on in, trying to be the best! And unlike the Nick Cage movie, Drive Angry, the amount of cheesiness and fun is both welcomed and warranted.. Check out the trailer and head past the break to download! Written by: MBGW on December 11, 2013.